TALLAHASSEE, Fla. —With some of the students who survived the Valentine’s Day massacre at Florida’s Marjory Stoneman Douglas High School looking on, the Republican majority in the Florida House voted down a tough gun control bill, banning assault weapons and magazines. The 36-71 defeat, on a party-line vote, left the students saying they would continue their “Never again!” crusade against sale and ownership of assault weapons – such as the AR-15 Nikolas Cruz used to murder 14 students, two teachers and the school’s athletic director. And they’d hold the politicians who voted for assault weapons responsible at the polls, the students told a televised press conference afterwards. 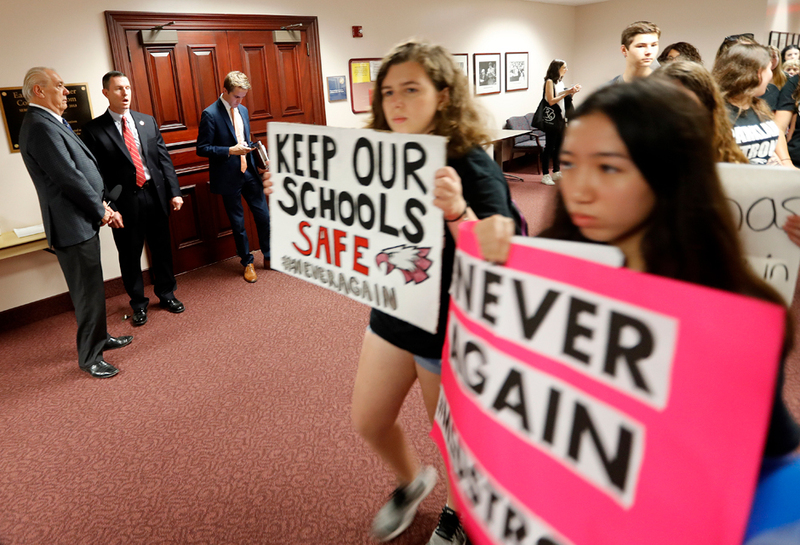 At least 100 Douglas students, plus chaperones, rode buses more than seven hours from the school just outside Fort Lauderdale 400 miles to the state capital in Tallahassee, arriving in time to lobby on the issue and observe the vote. The students reported six unidentified lawmakers refused to meet with them. After the loss on the state House floor, they told the crowd at a rally the fight would continue. 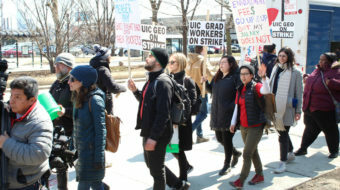 The rally drew more than 1,000 students to the capital grounds. Solidarity with the Florida students is spreading. High school students from Montgomery County, Md., with the permission of their principals, jumped on Washington’s Metro subway system, overwhelming one station near the U.S. Capitol, to hold a pro-gun control demonstration there. Hundreds of other high school students rallied in the Cleveland area, in a suburb of Columbus, Ohio, and at the Maryland state capitol building in Annapolis. And in South Florida, thousands of high school students from surrounding schools streamed to a mass rally at the Douglas campus. Meanwhile, in the Florida House, State Rep. Kionne McGhee, D-Miami-Dade, tried to move the anti-gun bill to the floor. 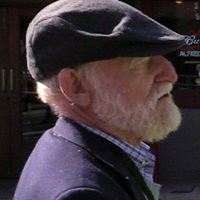 He argued for the measure, to ban sale of AR-15s and similar assault weapons and their magazines. Such a ban “attempts to insure mass shootings and massacres, like those that took place at Marjory Stoneman Douglas–” McGhee said. He was about to say “don’t happen again” when House Speaker Richard Corcoran, R-Land O’Lakes, cut him off. Corcoran said McGhee could only discuss his motion to bring the assault weapon ban to the floor, not the bill itself. McGhee then pointed out the three GOP-run subcommittees that have his gun ban bill “aren’t scheduled to meet for the rest” of the year, killing it. “This is an extraordinary procedure, but the shooting demands an extraordinary response,” he said. Without a single response from the ruling Republicans, Corcoran called for the vote and the GOP defeated McGhee’s move to consider the gun ban. One other Republican, President Donald Trump, met with several survivors of the Douglas massacre at the White House on Feb. 21. They were joined by parents of victims of two other school massacres in recent years, at Sandy Hook, Conn., and Columbine, Colo. The outcome of the meeting was unavailable. In their press conference, the Douglas students were not happy with the outcome, but determined to continue and expand their movement against the assault weapons. “On the day of love, our loved ones were ripped away from us in a horrific manner,” junior Lorenzo Prado said. “Many look to blame this act on the FBI or the Trump administration, but the simple fact is the laws of our beloved country allowed for the deranged gunman to purchase a gun legally. “The law has failed us…and what we must do is to enact change, because that is what we do to things that fail us. To not change the law in this time of need is to do a huge disservice to our 17 dead at Parkland” – the school’s city – “the 26 dead at Sandy Hook, the 50 dead in Orlando and the 59 dead in Las Vegas,” he added, citing another school massacre (Sandy Hook), one at a gay nightclub (Orlando) and another at a concert (Las Vegas). All were done with AR-15s or similar weapons. Other Douglas students slammed the politicians, including the Florida state reps who in essence voted the anti-gun bill down. Stoneman Douglas student Florence Yared extended the blame to Congress. “Soon we will be able to vote, and we will vote you out. You are directly responsible for every community that has lost people to gun violence, and you have the power to change this. If you don’t, then we will change you,” she stated. “That is why we have organized this revolution. For them,” she said.